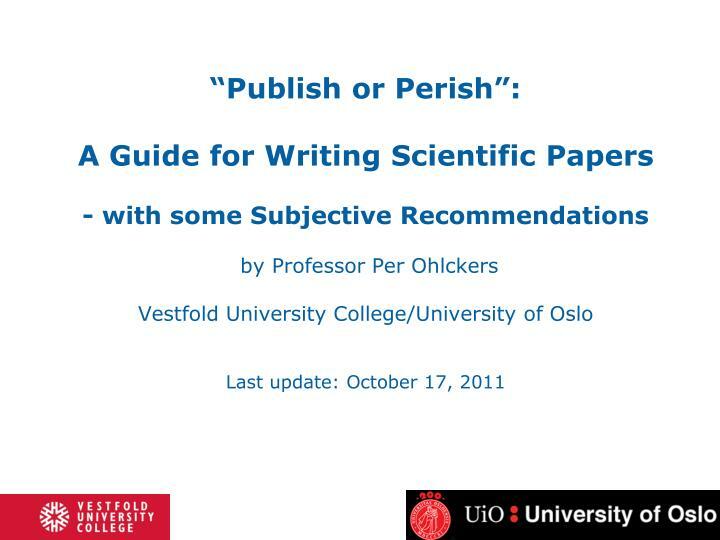 “Publish or Perish”: A Guide for Writing Scientific Papers - with some Subjective Recommendations by Professor Per Ohlckers Vestfold University College/University of Oslo Last update: October 17, 2011. 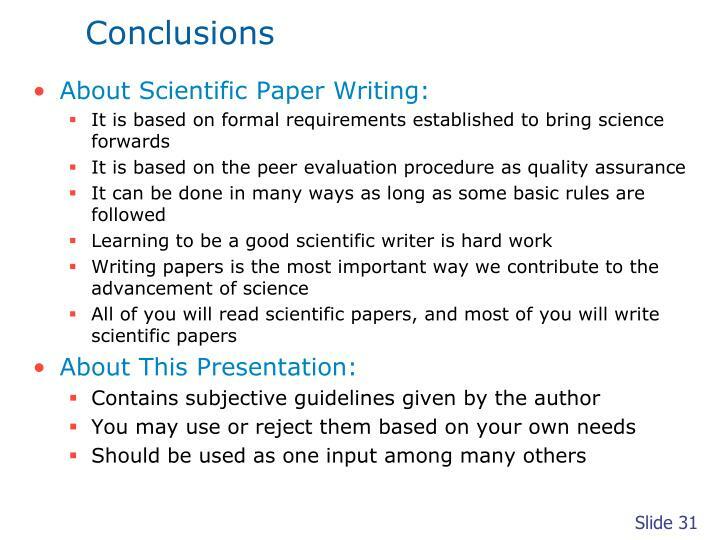 Scientific writing is an important cornerstone of all sciences used to document research results. A suitable format is given as a template with guidelines for the structure and look. 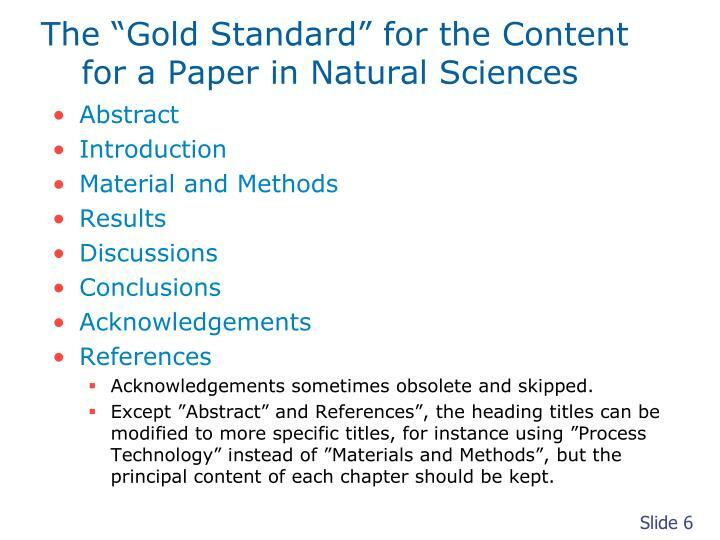 “The Gold Standard” - The contents of the different typical chapters of a scientific paper in natural sciences are outlined with guidelines. 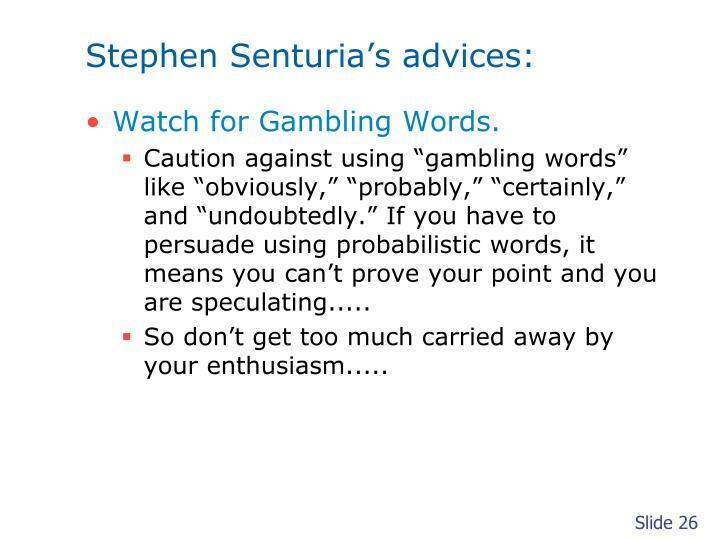 MIT-professor Stephen Senturia’s practical advices for writing successful papers are outlined and commented. In conclusion, a set of subjective recommendations for scientific writing is given, use it or not. 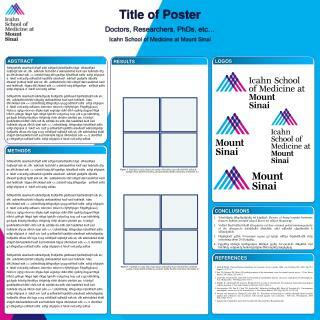 Other journals have different templates – look them up! 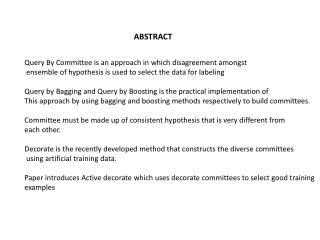 Abstract—These instructions give you guidelines for preparing papers for IEEE TRANSACTIONS and JOURNALS. 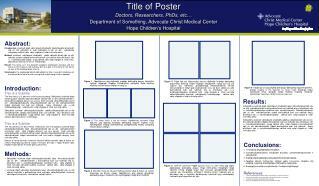 Use this document as a template if you are using Microsoft Word 6.0 or later. Otherwise, use this document as an instruction set. 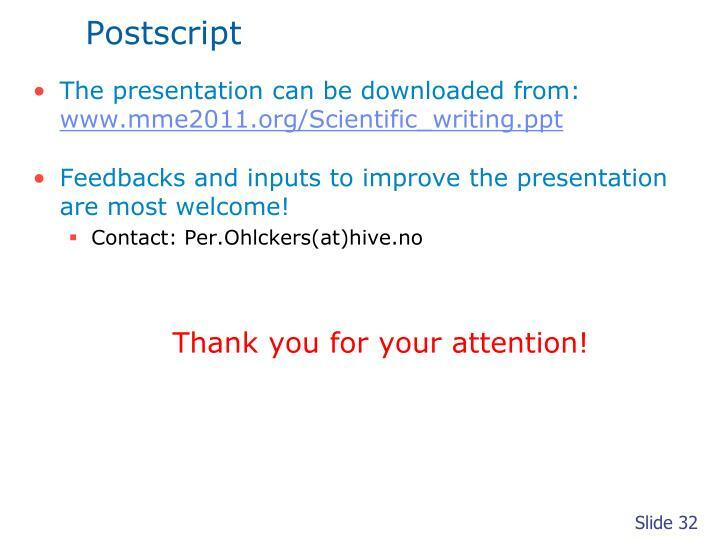 The electronic file of your paper will be formatted further at IEEE. 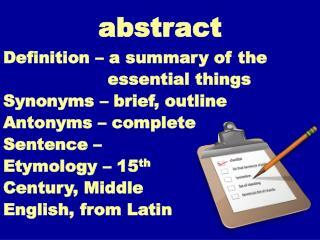 Define all symbols used in the abstract. 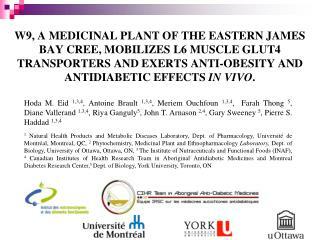 Do not cite references in the abstract. 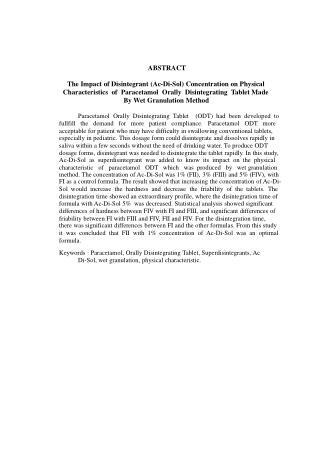 Do not delete the blank line immediately above the abstract; it sets the footnote at the bottom of this column. THIS document is a template for Microsoft Word versions 6.0 or later. 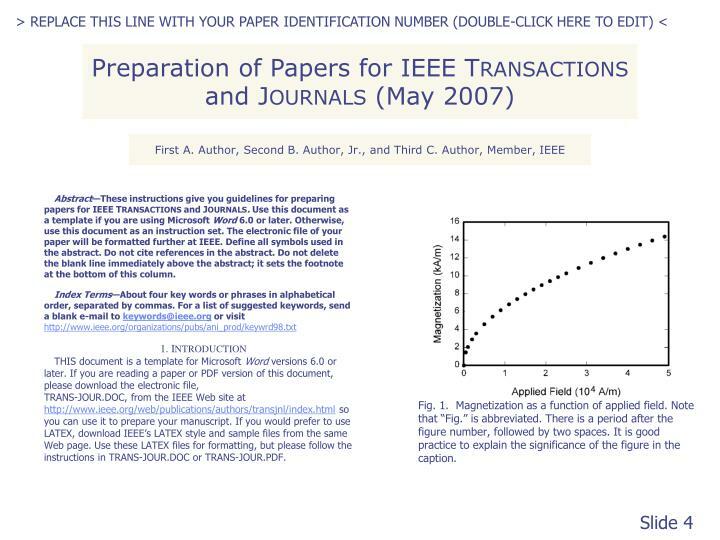 If you are reading a paper or PDF version of this document, please download the electronic file,TRANS-JOUR.DOC, from the IEEE Web site at http://www.ieee.org/web/publications/authors/transjnl/index.html so you can use it to prepare your manuscript. 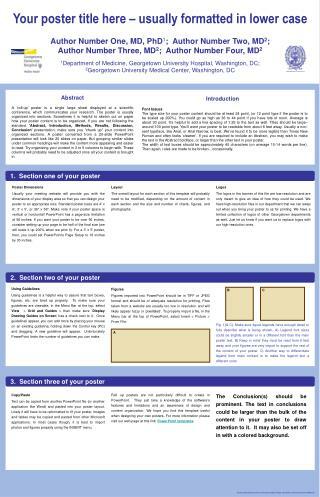 If you would prefer to use LATEX, download IEEE’s LATEX style and sample files from the same Web page. 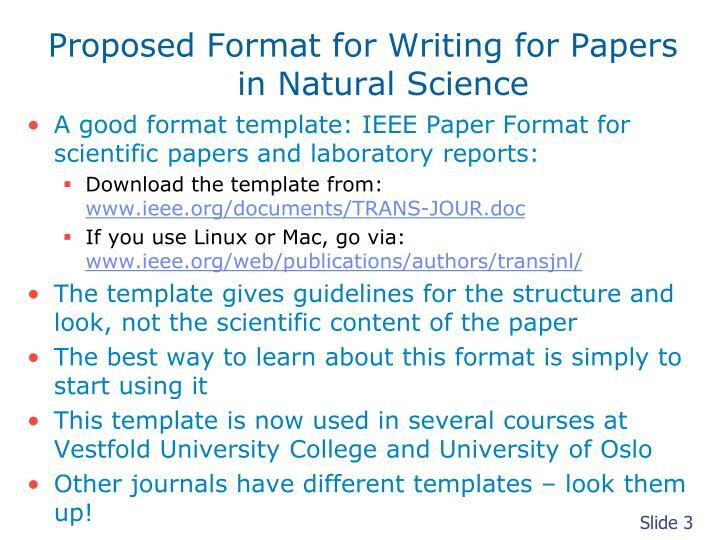 Use these LATEX files for formatting, but please follow the instructions in TRANS-JOUR.DOC or TRANS-JOUR.PDF. Fig. 1. Magnetization as a function of applied field. Note that “Fig.” is abbreviated. There is a period after the figure number, followed by two spaces. It is good practice to explain the significance of the figure in the caption. 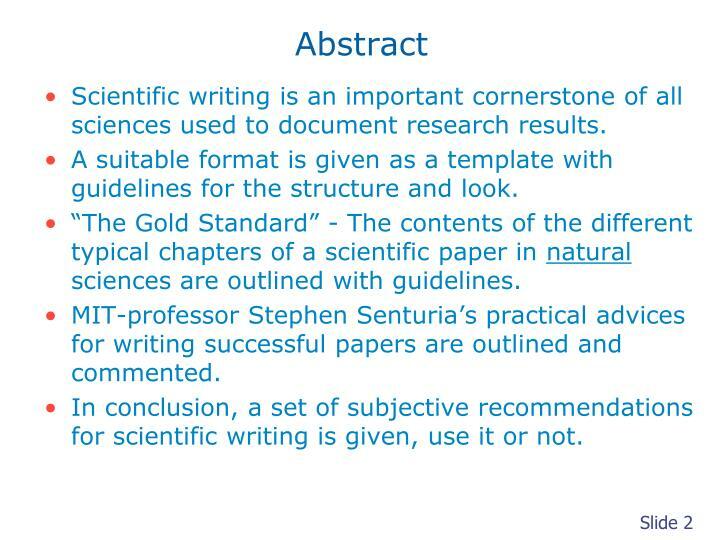 M.J. Katz, ”From Research to Manuscripts – A Guide to Scientific Writing” ISBN- 13 978-1 4020-4045-0. The Netherlands: Springer, 2006, p.ix-x. 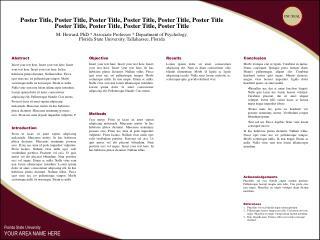 Personal: ”For the CV”, for Ph.D. studies, etc. Company/Institution, etc. : ”Reputation/money/marketing” For IMST at VUC this has high priority. Acknowledgements sometimes obsolete and skipped. 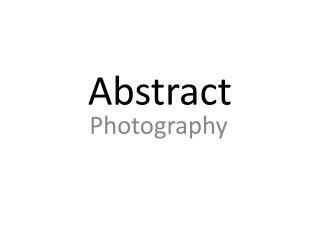 Except ”Abstract” and References”, the heading titles can be modified to more specific titles, for instance using ”Process Technology” instead of ”Materials and Methods”, but the principal content of each chapter should be kept. Cheaters are from time to time discovered by peer evaluations – for example a recent case with a dentist in Norway: He invented results to fit his hypotheses in several papers. Other examples? 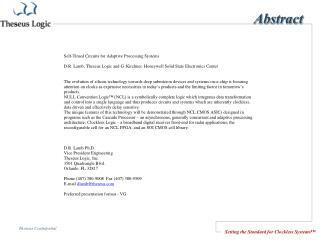 The ”genius” from Bell Labs? Such cheatings disturb the progress of science! 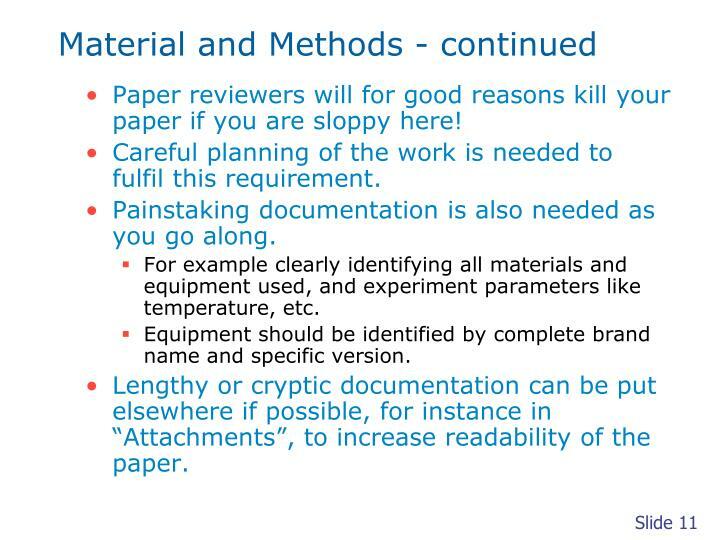 Paper reviewers will for good reasons kill your paper if you are sloppy here! 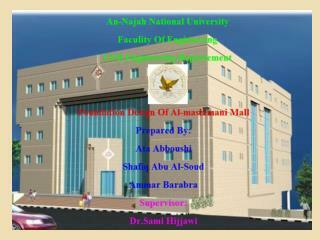 Careful planning of the work is needed to fulfil this requirement. 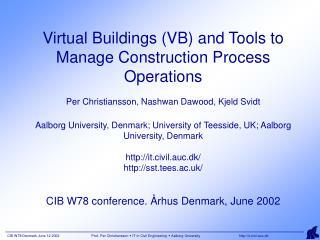 Painstaking documentation is also needed as you go along. 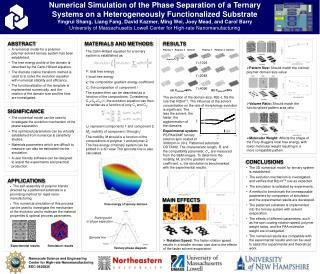 For example clearly identifying all materials and equipment used, and experiment parameters like temperature, etc. Equipment should be identified by complete brand name and specific version. 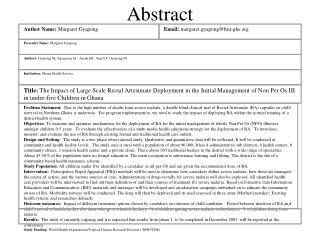 Lengthy or cryptic documentation can be put elsewhere if possible, for instance in “Attachments”, to increase readability of the paper. 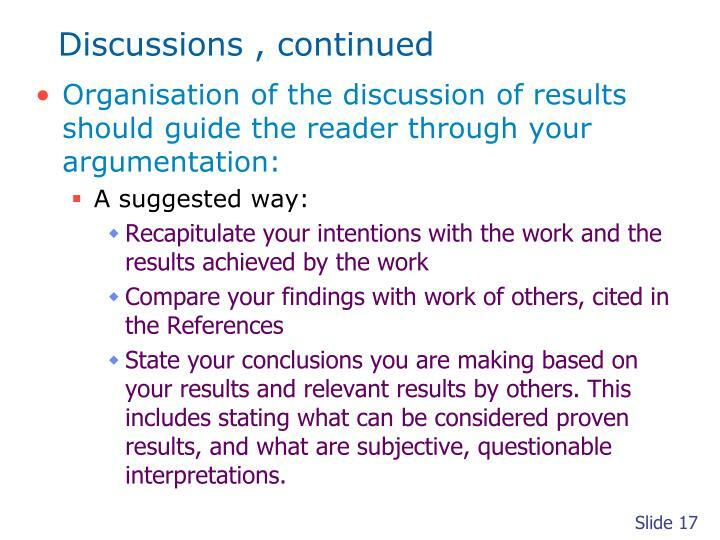 The reader should follow your objective observations before evaluation your subjective views in the Discussion section, which contains your subjective assessments, parts of which can and often will be questioned. 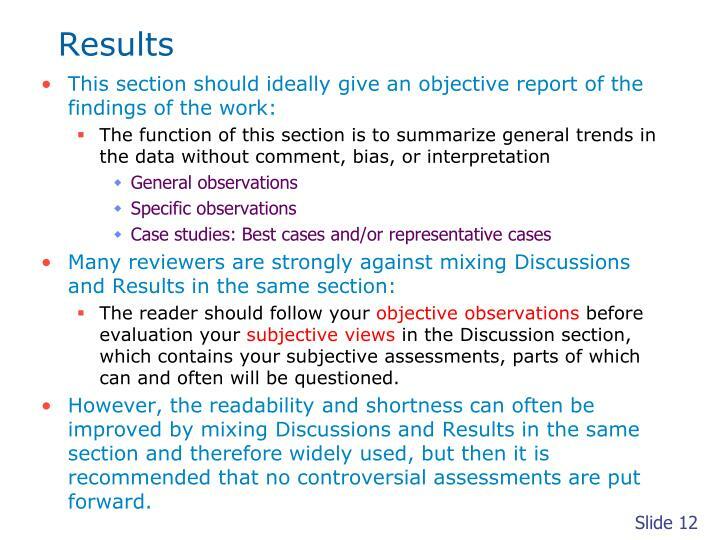 However, the readability and shortness can often be improved by mixing Discussions and Results in the same section and therefore widely used, but then it is recommended that no controversial assessments are put forward. 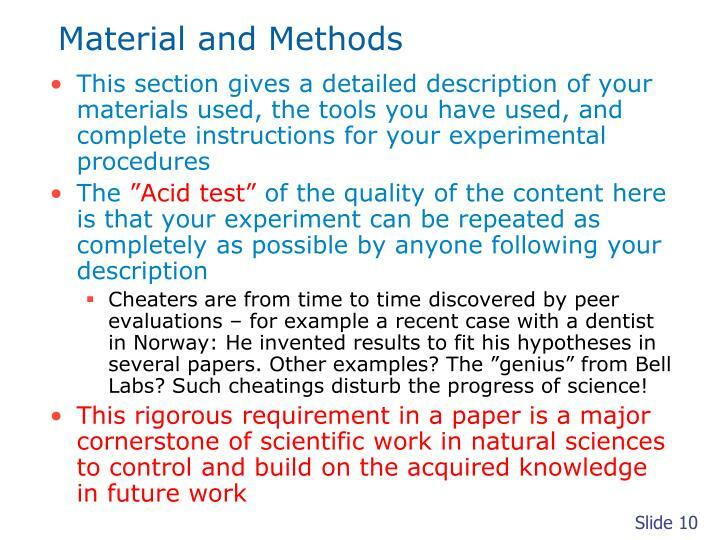 This section is together with the Material and Methods section the most enduring parts of a scientific paper. 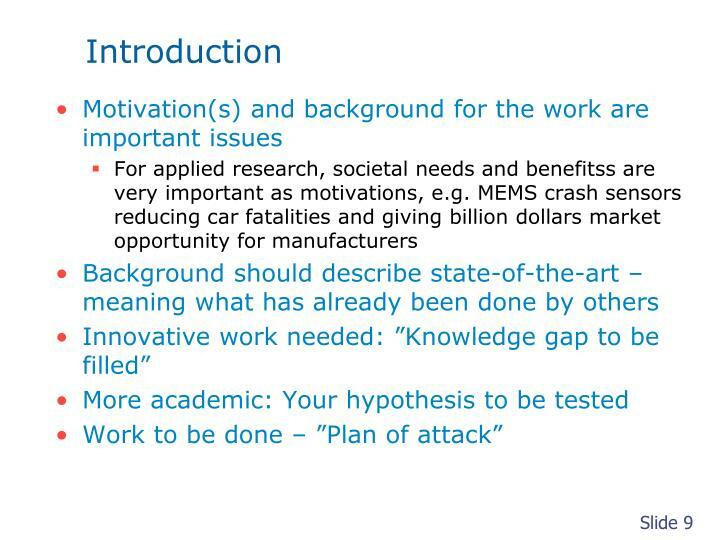 These 2 parts contains the objective contribution to science, while the other parts are ephemeral (significance eroding with time) as science move forward. 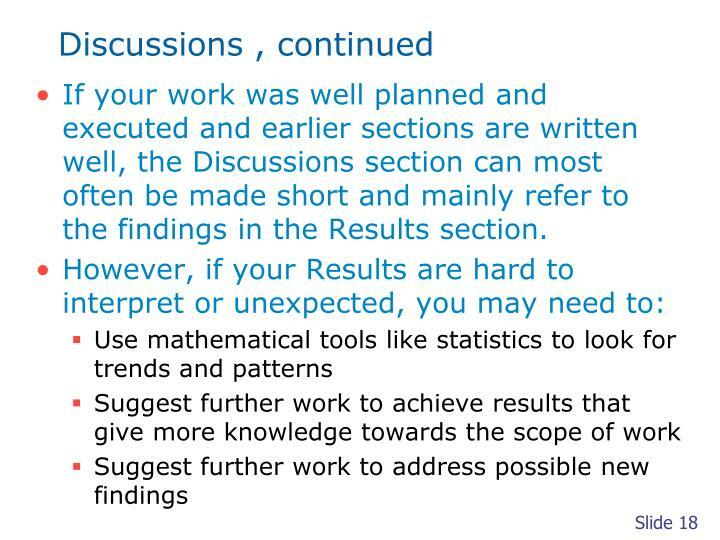 The results are also the part that is most useful for future work by others and yourself, most often being the section containing reference contents in future papers, sometimes also used to question and counter your assessments in Discussions and Conclusions. 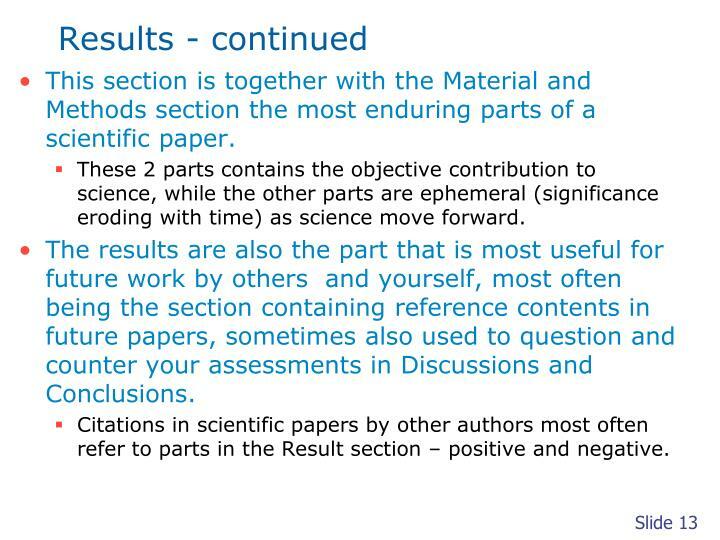 Citations in scientific papers by other authors most often refer to parts in the Result section – positive and negative. Take care not to manipulate your reader by selecting or twisting the results that best fit your Discussions and Conclusions. Be aware that unexpected results instead of a disappointment might be a ”New Gold Mine” of new science, large or small. 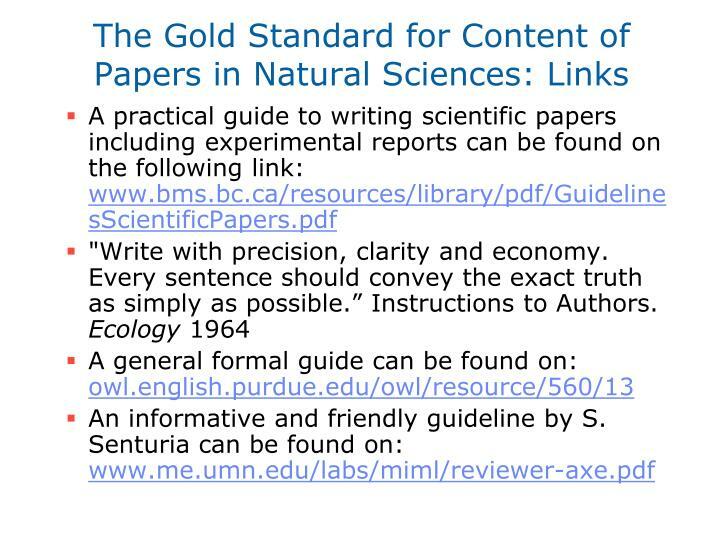 These 2 sections (Materials and Methods, Results), if kept clean of discussions, contain the objective contributions to science, while the other parts are ephemeral (significance eroding with time) as science and society move forward. To improve readability and pave the way for constructive Discussions, do your utmost to present your results in a clear and concise way. 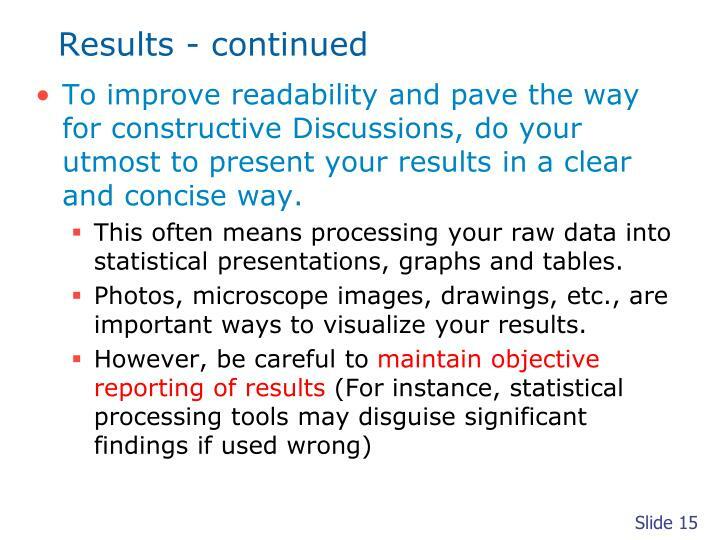 This often means processing your raw data into statistical presentations, graphs and tables. 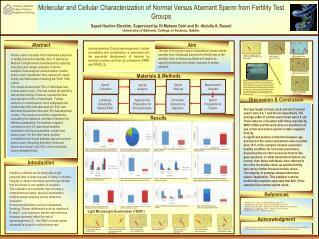 Photos, microscope images, drawings, etc., are important ways to visualize your results. 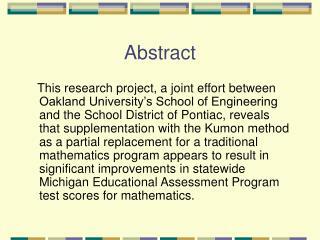 In this section we interpret how the results have brought new knowledge contributing to science. This should be done as objectively as possible, but will always contain elements of subjective interpretations of the results. 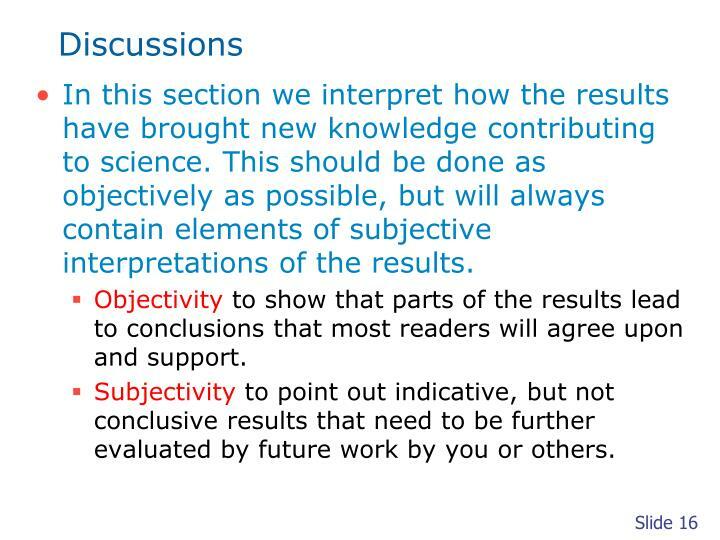 Objectivity to show that parts of the results lead to conclusions that most readers will agree upon and support. Subjectivity to point out indicative, but not conclusive results that need to be further evaluated by future work by you or others. 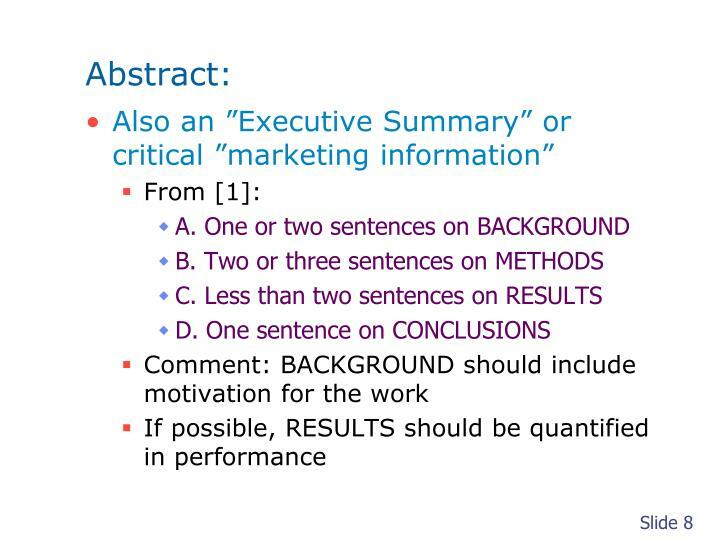 State your conclusions you are making based on your results and relevant results by others. 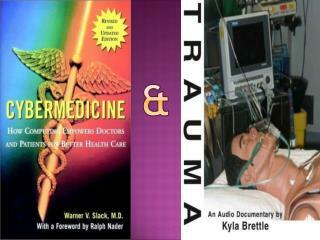 This includes stating what can be considered proven results, and what are subjective, questionable interpretations. 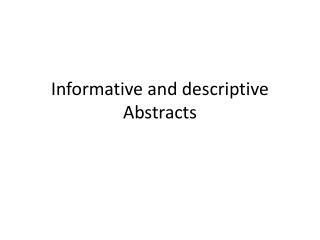 If your work was well planned and executed and earlier sections are written well, the Discussions section can most often be made short and mainly refer to the findings in the Results section. 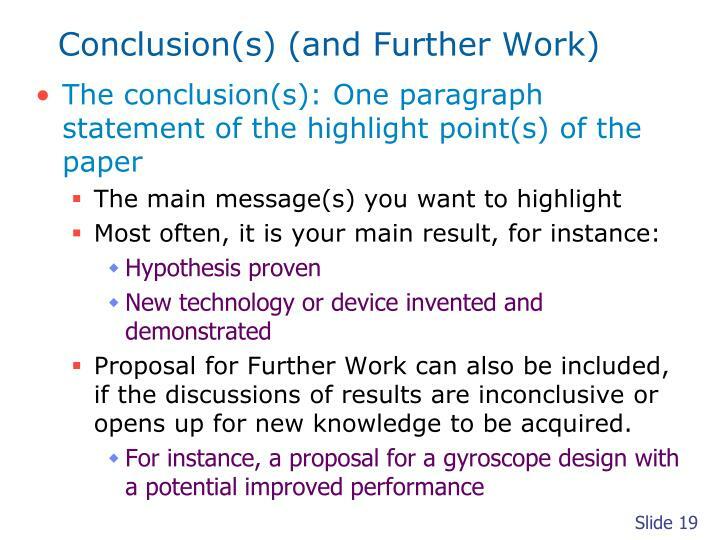 Proposal for Further Work can also be included, if the discussions of results are inconclusive or opens up for new knowledge to be acquired. 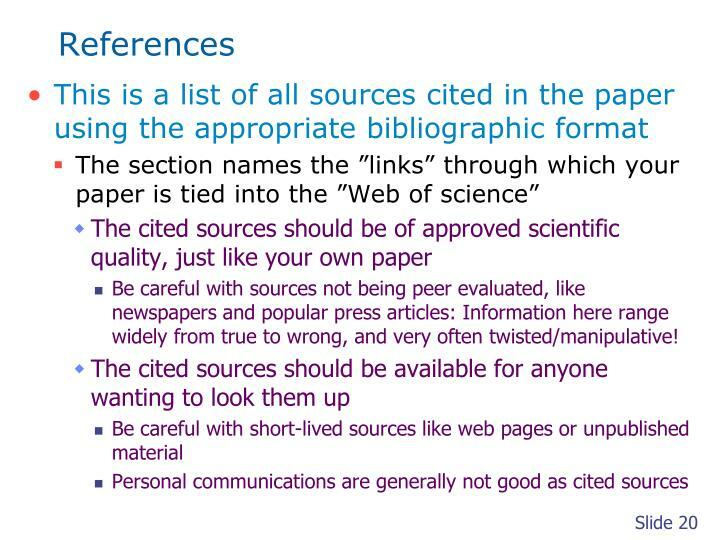 Be careful with sources not being peer evaluated, like newspapers and popular press articles: Information here range widely from true to wrong, and very often twisted/manipulative! Addendum: For bachelor studies at VUC: Final Project organisation and reporting has its own guidelines, including quality assurance issues. These guidelines are modelled towards internal reports typically used in technology companies. 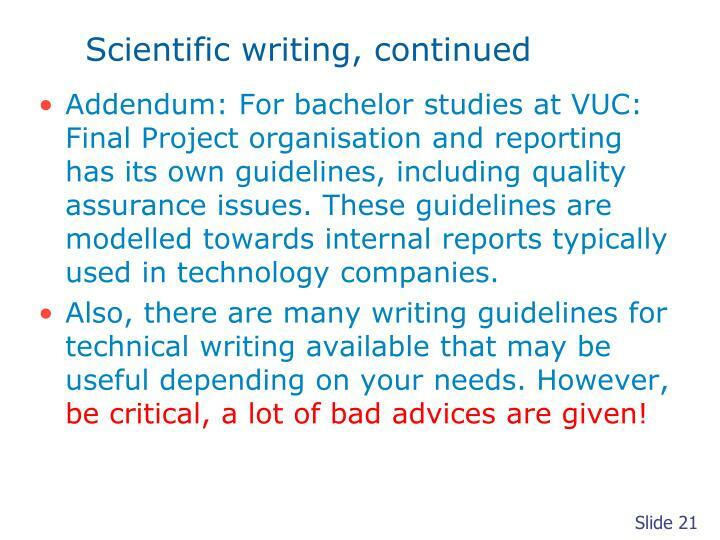 Also, there are many writing guidelines for technical writing available that may be useful depending on your needs. However, be critical, a lot of bad advices are given! 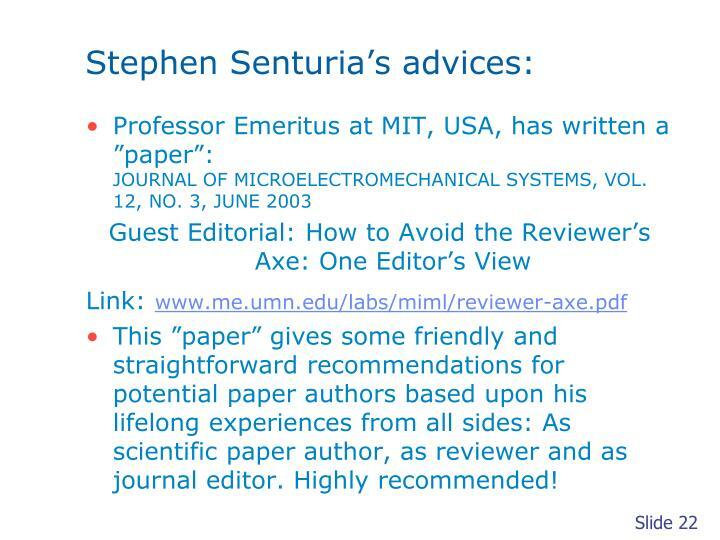 This ”paper” gives some friendly and straightforward recommendations for potential paper authors based upon his lifelong experiences from all sides: As scientific paper author, as reviewer and as journal editor. Highly recommended! Rely on the Believability Index. Don’t Pull Rabbits Out of Hats. 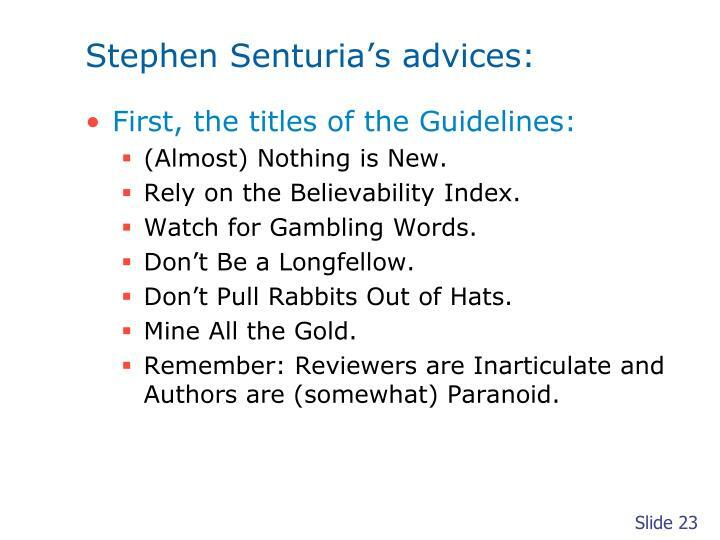 Remember: Reviewers are Inarticulate and Authors are (somewhat) Paranoid. Everyone knows that there is nothing new under the sun. Everyone, that is, except an ambitious author who believes that his or her work is unique. 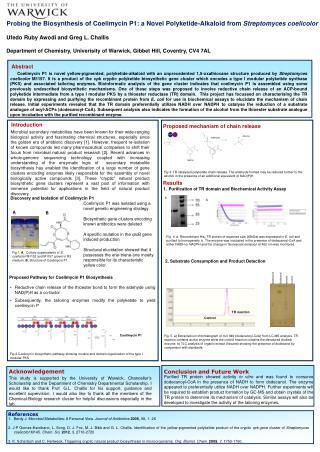 While there are a few truly unique and amazing results published once in a while, most of our work is built on the work of others………. 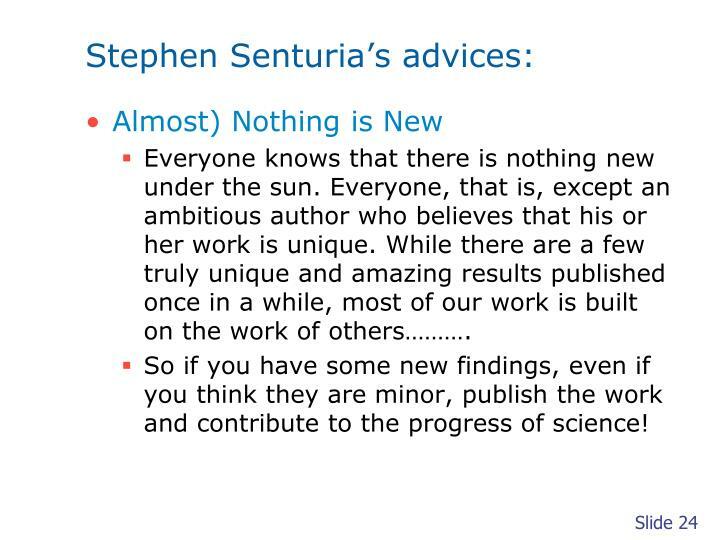 So if you have some new findings, even if you think they are minor, publish the work and contribute to the progress of science! The essence of scientific advance is that results are believable because they have been repeated and checked by independent investigators. By definition then, a truly new result is not scientifically confirmed until it has been repeated by others. 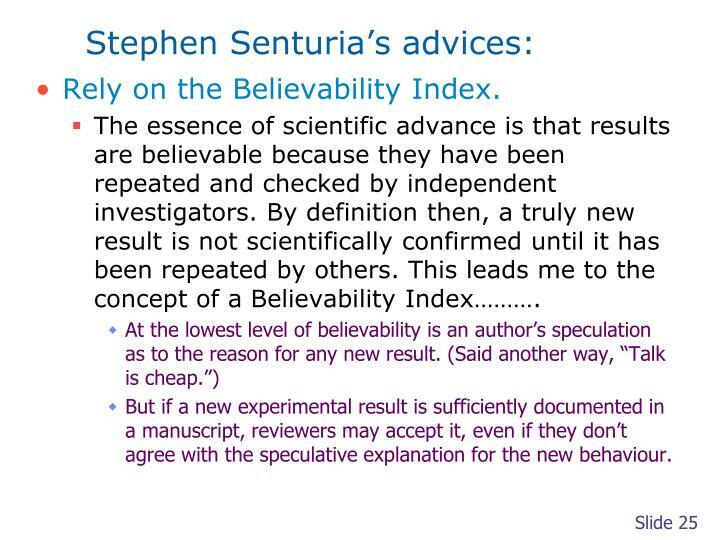 This leads me to the concept of a Believability Index………. 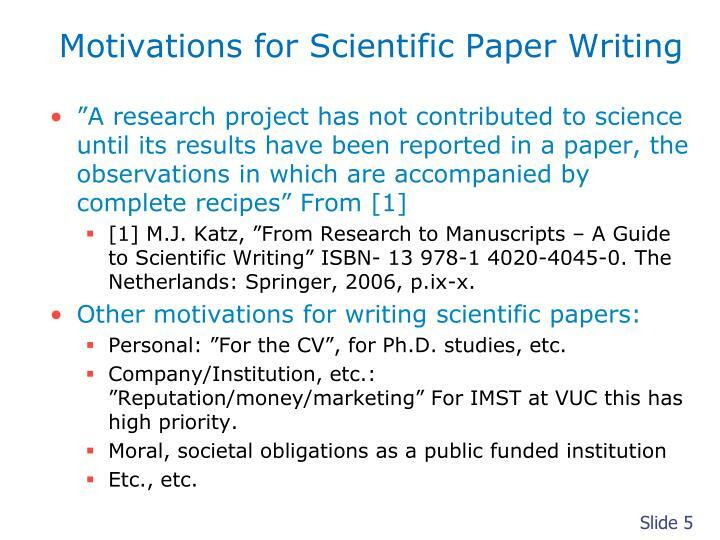 But if a new experimental result is sufficiently documented in a manuscript, reviewers may accept it, even if they don’t agree with the speculative explanation for the new behaviour. In Tales of a Wayside Inn, the poet Longfellow presents a set of stories told by various guests at the inn, sitting around the fire. 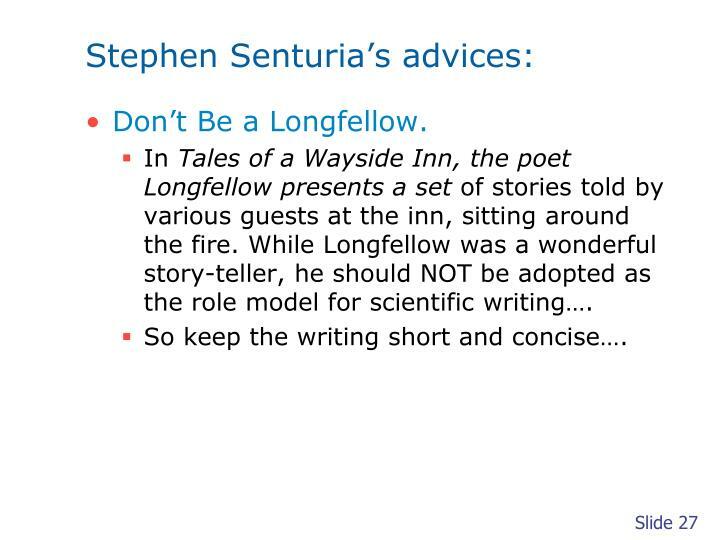 While Longfellow was a wonderful story-teller, he should NOT be adopted as the role model for scientific writing…. So keep the writing short and concise…. We all recall the thrill when, as children, seated on the floor of a crowded school auditorium, we would see the visiting magician pull a rabbit out of his hat. Some of that thrill seems to stick, because many scientific writers seem to want to imitate the magician, for instance by adding results of an extra experiment not included in Materials and Methods. 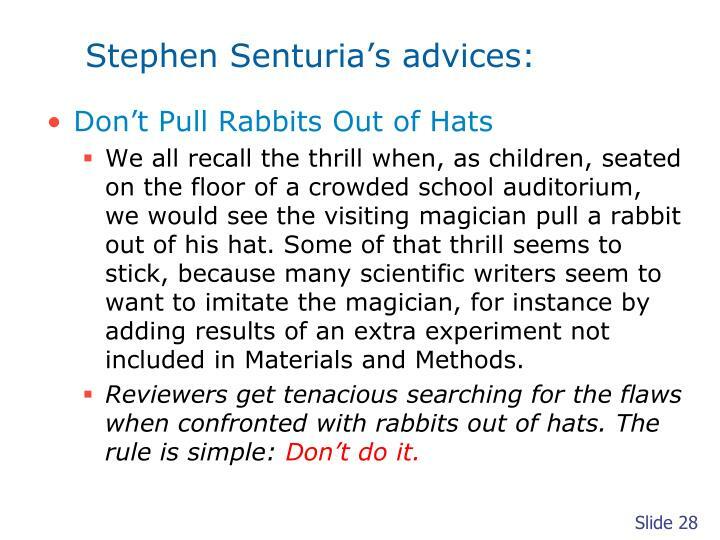 Reviewers get tenacious searching for the flaws when confronted with rabbits out of hats. The rule is simple: Don’t do it. Imaging you are out on a mission looking for silver, and then stumbles upon a gold find. Since you are looking for silver, you ignore it as the idiot you are. 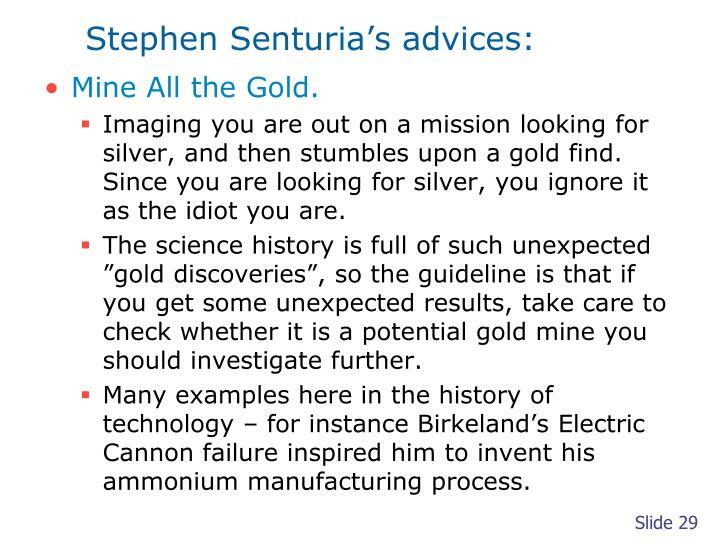 The science history is full of such unexpected ”gold discoveries”, so the guideline is that if you get some unexpected results, take care to check whether it is a potential gold mine you should investigate further. 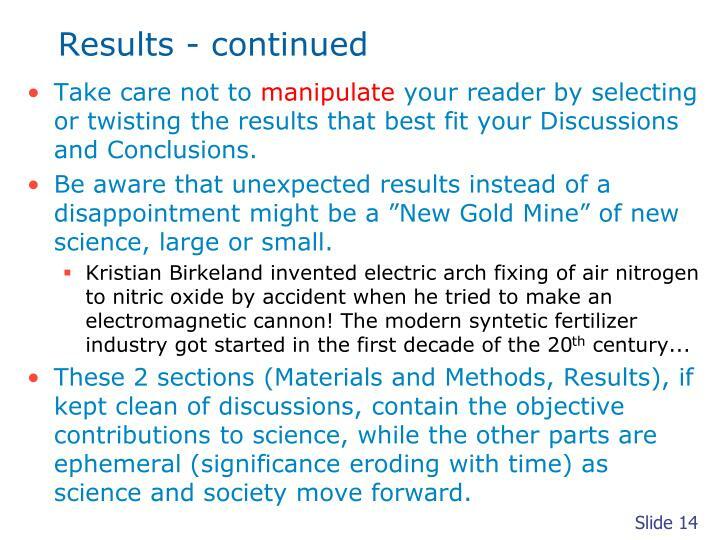 Many examples here in the history of technology – for instance Birkeland’s Electric Cannon failure inspired him to invent his ammonium manufacturing process. When a reviewer complains about something in a paper, the chances are very good that there is a problem with the paper. 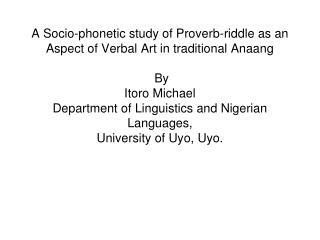 Not every comment by every reviewer is a correct or proper criticism, but I would say that more than 90% of the criticisms that I have seen have some degree of merit. 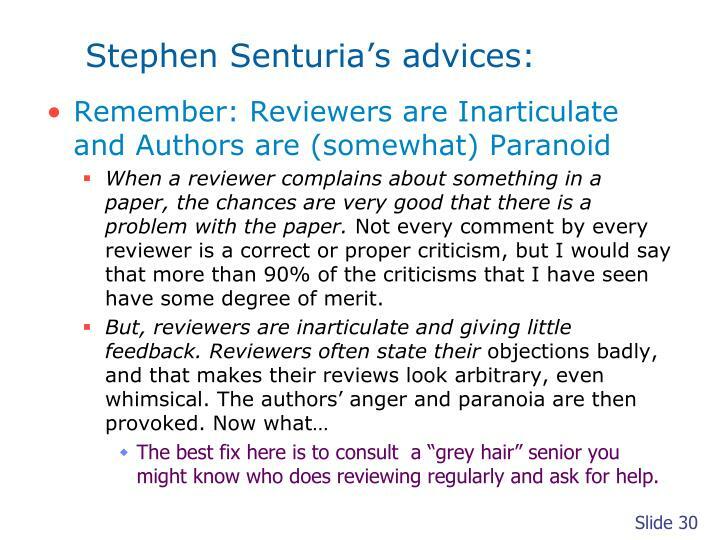 The best fix here is to consult a “grey hair” senior you might know who does reviewing regularly and ask for help. 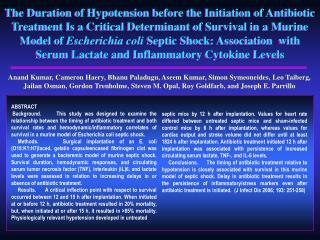 Feedbacks and inputs to improve the presentation are most welcome!